Take the following situation. We discover an extremely contagious virus. It infects you and your loved ones, and quickly propagates through all of mankind. As a result, 150,000 people die every day. It kills more than twice the number killed in the holocaust every three months, and in 30 years, it will have killed 1.5 billion, around one in six people. How high would this score on a list of global priorities? There’s no doubt the situation would be grave. Most people would demand immediate action. But that’s just a thought experiment, right? Not really. Every day, 150,000 people do die from age-related disease. Not only the cost in lives is monumental; societal and economic costs are also on the rise. According to the Dutch Statistics Authority (the CBS), the amount of people older than 65 (retirement age) will have increased to 27% in 2040, from the current 19%. As more people are born, this also means more people die from age-related disease, taking all their knowledge, expertise, and productivity with them. In short: If we don’t do anything about the consequences of our aging population, we face severe consequences. So what is the best way to deal with the problem of our society aging? There is no simple solution. More conventional healthcare barely improves quality of life, while just letting people die is not an ethical option. Rutger Bregman, a Dutch historian and philosopher, argues for thinking more radically about solutions to societal problems. According to his essay “Een pleidooi voor de utopie” (A plea for utopia) in the Dutch magazine “De groene Amsterdammer”, we have lost the ability to think in such a way; We only look at marginal improvements, instead of looking at changes that could radically improve and change our society. So if we do explore more radical solutions, what can we do? Professor Aubrey de Grey, Ph.D. in biology, Chief Science Officer of the prestigious SENS Research Foundation, and partner at the Gerontological Society of America, argues that we could look at a radical intervention in human aging. According to de Grey, the best way of solving many of these problems is to cure aging at its source. De Grey is not the only one who holds that opinion. Alphabet, Inc.‘s biotechnology subsidiary (Calico) also views the problem from this position. This point of view obviously raises quite a few questions. Critics claim that de Grey’s vision is impossible or undesirable. Proponents point to the massive advantages of curing age-related disease. One of the arguments put forward is that short-term thinking causes many economical and societal problems. Economist Joseph Stiglitz speaks about rent-seeking (“Rent-Seeking and the Making of an Unequal Society”, 2014), economically destructive behaviour in which an individual or business enriches itself while harming the entire economy in the process. Environmental concerns are also a very large issue. Since people (if they are lucky) don’t get to live much longer than a hundred years old, many people find it very uninteresting to think about what our behaviour is doing to the environment on the long term. But what will it mean for these problems if we have to let go of short-term thinking, because we live for a much longer time? One thing is for sure: If de Grey’s vision becomes reality, a lot will change in our society. Short-term thinking has a catastrophic effect on our economy and environment. The previously mentioned economist Joseph Stiglitz claims in his article that our economy is suffering serious problems, since rent-seeking is causing society-wide destruction and inequality. For centuries, economists, philosophers, and ethicists have been considering how to stop such unethical behavior. Usually, they looked at different moral developments, better regulations, or restructuring society as solutions. In his work “The Power of Context”, Malcolm Gladwell makes the claim that the environment and the context we live in have a large impact on our behaviour. Human life knows a few certainties; one of them is that you will die within a century. One may have children or grandchildren, but very few people are concerned about the fate of their heir several hundred generations down the road. In my interview with him (2014, Nakedbutsafe magazine), Professor de Grey argues that many people would be much more concerned with the long term if they knew they would still be around in several centuries, and there’s a lot to be said about that. Instead of waging a fruitless and hopeless war on selfishness, it may be more prudent to use it to improve the world. De Grey’s solution essentially means inventing the fountain of youth through advanced biotechnology. He wants to do this through a method called “Strategies for Engineered Negligible Senescence” or SENS. SENS essentially involves periodically repairing accumulated damage from aging, so it never reaches a critical point where it turns into a specific illness. De Grey is not the only one who is looking for a solution for aging: Google Ventures heavily invests in such technology. In 2013, Google founded a company called Calico, which entered a partnership with AbbVie. With a record investment of two billion dollars, most money ever put into a start-up, the ambitious firm wants to create a fundamental understanding of aging and use said understanding to eventually cure said aging. Bill Maris, president of Google Ventures, has already made the famous claim we will be able to have technology to live 500 years within our lifetimes. Another actor in the corporate sector is BioViva, whose CEO, Elizabeth Parrish, has become the first human on the planet to get treated with a combination of in vivo gene therapies to slow down aging. The approaches of Calico, SENS, and BioViva look at the problem from different angles, but they have one thing in common: they are not looking at ways to extend the lives of sick, disabled seniors. Instead, they are looking at a method to not simply extend life, but to extend health. They are looking at methods to stop this biological aging from happening. Life extension is merely a side effect. After all, if a 200-year-old has the vitality of a 40-year-old, why would an aging population be a problem? Even though the population will age, the percentage of “elderly” people will decrease, and so will age-related suffering and related economic pressure. However, not everyone is optimistic about these changes. Critics are concerned about what a radically extended life will mean for overpopulation. They argue that if nobody dies, we will have so many people that we will either have to kill people, or make reproduction illegal. While such a top-down approach may seem like “common sense”, there’s a lot to be said about why such drastic top-down measures will be unnecessary. Steven Johnson, a best-selling popular science author and media theorist, introduces the concept of emergence (Emergence: The Connected Lives of Ants, Brains, Cities, and Software, 2001). Emergence refers to patterns in complex systems which can’t be reduced to the properties or behaviours of an individual element of the system. Johnson uses the ant colony as an example: while no single ant coordinates the behaviour of the colony, the entire system is self-organizing and thus functions perfectly. An ant colony, but even more so human society, is a good example of an emergent system. A simple example of this self-organization is the distribution of bread. There is no central authority that plants where bakeries should be located, how much grain should be produced, what logistic solutions should be used for bread transport to people’s homes, or what bread prices ought to be. In fact, such central planning has been tried several times in history. In communist dictatorships such as the Soviet Union and North Korea, centralized attempts at steer society have had catastrophic results. However, if emergence of self-organisation does its job, a society flourishes. We can see this same effect work on overpopulation and birth rates. According to the World Health Organisation, the fertility rates plummet as life expectancy skyrockets. Countries that have the highest life expectancies have the lowest birth rates. Japan, which has one of the highest life expectancies has a negative birth rate; its population is in decline, even though no central planning has intervened in any way. This hypothesis is also supported by virtually all historic trends. Every widespread average life-expectancy spike was met with a plummet in birth rates. When our life expectancy went up because of the invention of antibiotics, our birth rates hit historic lows. We see the opposite in countries where life expectancy is very low. The country with the highest birth rate is Nigeria, while it’s one of the poorest countries in the world. The average life expectancy in Nigeria is below 55. According to the United Nations, countries with low life expectancy have by far the largest effect on overpopulation. Regulation of population is therefore unnecessary; a complex system such as modern society self-regulates and corrects itself. This idea is in line with Gladwell’s theory of context-dependent behavior; the context largely defines our behavior. And as a self-organizing system, society demonstrably changes the context to steer our behavior in effective patterns. A dystopia where government has to regulate reproduction or death is very unlikely. ~ Leon Kass (Aging Research, 2004). Kass makes a comparison with the ancient Greek gods to argument why life’s shortness gives it purpose. While these arguments may seem somewhat of a philosophical take on many common criticisms, they are easily debunked. Elizabeth Parrish, CEO of BioViva and a pioneering entrepreneur in the field of gene therapy, argues against the idea that we should accept something because it’s considered “normal.” (“Liz Parrish speaks at People Unlimited on transcending the aging paradigm with gene therapy”, 2015). She argues that “normal” is a situational opinion which constantly changed throughout the entirety of history. In 1665, dying of infectious disease was normal. During this time only one percent of all humans died from aging: Infectious diseases were responsible for more than three quarters of all deaths before we developed the first immunization therapies – the development of which is similar to the process to defeat aging with gene therapy today. Just like today, there was criticism of the development of vaccines and antibiotics, even though lifespans and health were greatly improved by the use of these advancements – and the arguments have stayed very much the same. “The alchemists of old stood atop what little knowledge of chemistry they had and built a speculative religion of hermetic magic, transient wishes, celestial signs and hidden gold. Leon Kass stands atop what little biotechnology we have today (and seems to have a good grasp thereof), building his own structures of fanciful thought, equally disconnected from the real world. In “Leon Kass, Mystic” (2004), Reason wonders if Kass’s philosophical musings are enough of a reason to condemn billions of people to a slow and painful death. Just like the alchemists, Reason argues, Kass’s vision is based upon ancient texts and his own subjective knee-jerk reactions, instead of researching the world around him. Reason postulates that this is the fundamental difference between a mystic and a scientist: The mystic is immune to impractical facts, consequences, and reality. De Grey also argues against the bioconservative position. He rejects the idea that longer lives will somehow lower our appreciation of life. We will be able to start a new major when we are fifty years old, or a new career when we’re a hundred and fifty. The very fact that we have so little time causes us to experience “lock-in” in our careers and choices. This causes boredom and stress. The amount of time we lose switching to doing something we may enjoy a lot more is too radical, because we have so little time to begin with. 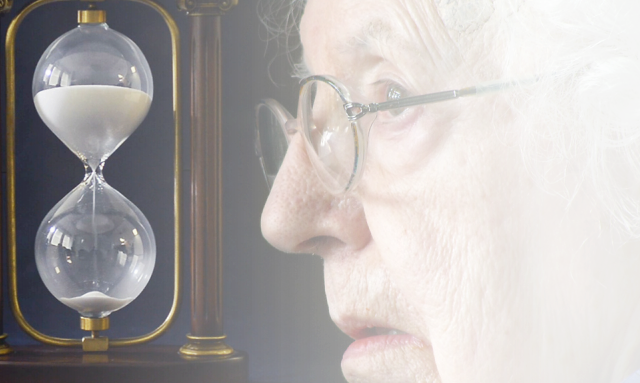 Radical life extension seems more likely to actually cure the problems its critics claim it will cause (such as boredom, stress, or disenchantment with life). Treatments for age-related diseases are on their way, and curing aging is big business. The first people are already getting early treatments, and the prognoses are positive. Society will have to adapt to the changes that come with these treatments. It is very important to explore options for adequately engaging public opinion in favor of curing age-related disease, to mitigate massive economic and human losses that these diseases currently cause, and to create the legislation and framework needed to implement these technologies in a fair, responsible, and sane way. Bregman, Rutger (2013). Dromen is niet eng; Essay Pleidooi voor de utopie. De Groene Amsterdammer, jaar 137, week 20. https://www.groene.nl/artikel/pleidooi-voor-de-utopie. Gladwell, Malcolm (2000). The Power of Context. In R.E. Miller & Spellmeyer (Eds. ), The New Humanities Reader (Fifth Edition, pp. 148-167). Print. Stiglitz, J. E. (2012). Rent Seeking and the Making of an Unequal Society. In R.E. Miller & Spellmeyer (Eds. ), The New Humanities Reader (Fifth Edition, pp. 148-167). Print. I would like to bring to your attention the book ONTDOOID by Ruben Petriks. In this thriller all above issues are passing by in an informal way. It is written in Dutch for a larger audience, The writer is a scientist and transhumanist.